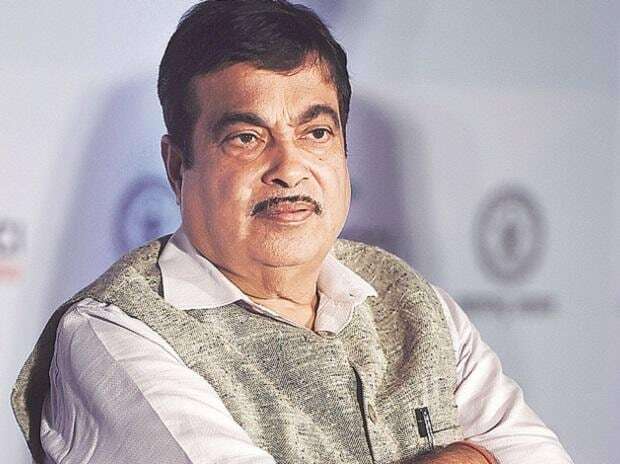 Union Minister Nitin Gadkari has declared movable and immovable assets worth Rs 25.12 crore in an affidavit filed along with his nomination papers for the Nagpur parliamentary constituency. Gadkari filed his papers for the Nagpur Lok Sabha seat on Monday. Polling in the constituency will be held on April 11. As per his tax return forms, his total income stood at Rs 2,66,390 in 2013-14 and Rs 6,40,700 in 2017-18. According to his affidavit, he has movable assets worth Rs 69,38,691, while his wife has movable assets worth Rs 91,99,160. A sum of Rs 66,07,924 is in the name of the Hindu Undivided Family (HUF). Similarly, Gadkari has immovable assets worth Rs 6,95,98,325, his wife Rs 6,48,60,325. A sum of Rs 9,40,31,224 was in the name of HUF. Gadkari declared over 29 acres of agricultural land in Dhapewada in Nagpur, of which 15 acres are registered in the name of his wife and 14.60 acres owned by HUF. Gadkari declared an ancestral house at Mahal (Nagpur) and a flat at an MLA Society in Worli (Mumbai). The Union minister, in his affidavit, has informed that he has invested Rs 3,55,510 in savings scheme, mutual funds, bonds and shares. He has Rs 8,99,111 in his banks account, according to the affidavit. Similarly, his wife's bank balance stood at Rs 11,07,909. The senior BJP leader also has liabilities of Rs 1,57,21,753 by way of bank loans. Gadkari declared six cars in his affidavit, four of which are in the name of his wife.